Russian forward Alexander Kuvaev has joined the Vancouver Giants for the second half of the season. The 18 year old from Moscow, Russia will play tonight vs. the Kamloops Blazers. Kuvaev fills the empty import roster spot the Giants had available. 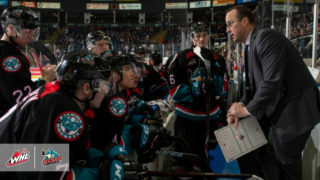 He was orginally added to the Giants protected list a couple of months ago after being dropped by the Kootenay Ice. Last year, Kuvaev played for the Lethbridge Hurricanes picking up 11 goals, 13 assists, 24 points in 58 games. He scored 10 goals in his first 23 games, but just 1 goal in his final 25 games. 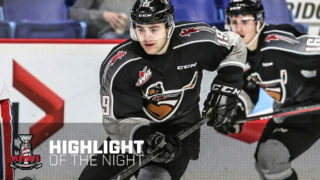 The Hurricanes released him following the season and he is quickly picked up by the Kootenay Ice, but after Kuvaev started the season in the KHL the Ice dropped him from their list. Kuvaev played just 4 games in the KHL before returning to his junior team (HC MVD Jr) where he had 9 goals and 12 points in 24 games. 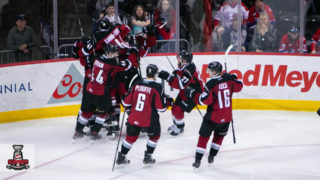 Kuvaev’s return to the WHL comes at an ideal time for the Vancouver Giants who are without 5 players due to international commitments. 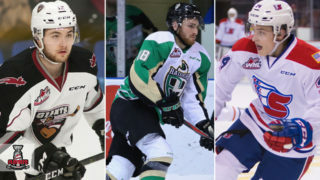 Brendan Gallagher (Canada), Marek Tvrdon (Slovakia), and David Musil (Czech Republic) are playing at the World Junior Championships, while Anthony Ast (Team Pacific) and Jackson Houck (Team Pacific) are at the U-17 World Hockey Challanege in Windsor, Ontario. 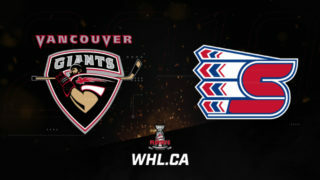 After a week off, the Giants return to action tonight at the Pacific Coliseum for the front end of a home and home series vs. the Kamloops Blazers. The Blazers currently lead the Giants by 4 points for 1st place in the BC division. 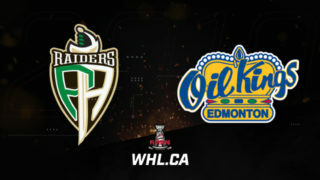 It is just the second meeting of the season between these two rivals and first since the first month of the season when the Blazers defeated Vancouver 6-2 on September 30.